I am writing this article with assumption that most of you who are reading this article already have an EOS account and have experiences of using Dapps on EOS network. First, using EOS network for the use of Dapps is not free. It requires you to stake EOS to secure CPU and NET resources to make transactions in EOS network. As you continue to use Dapps, CPU and NET resources are getting more and more limited. 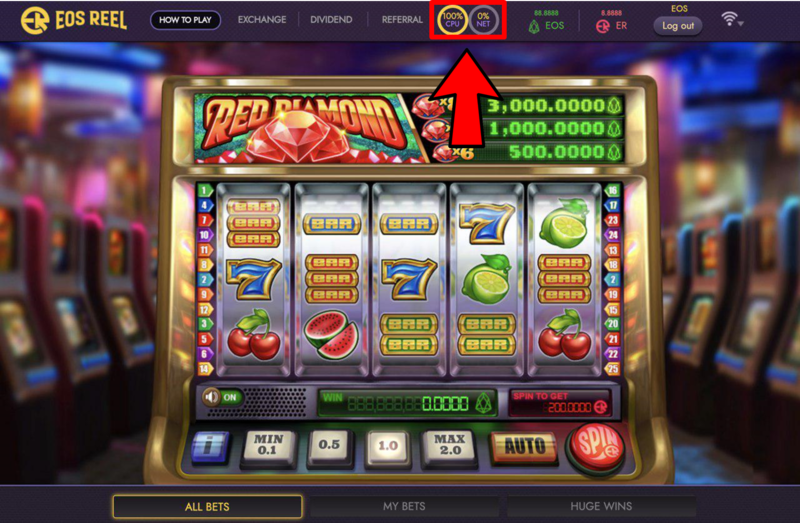 Once either the CPU or NET reaches the limit, the transaction becomes impossible and Dapp is no longer available to use. I am certain that many people must be suffering from problems with CPU and NET. You can get rid of those troubles simply by staking EOS within your EOS account, but there is much more efficient way to do so. The ‘Chintai’. ‘Chintai’ is a service that allows you to lease a large amount of EOS to secure the CPU and NET resources at relatively low rate. You can follow steps to get out of CPU nightmare. When you log in, you can see the current EOS account overview under the login area on the top right of the main page. Either of any resources in the overview reaches 100%, the Dapp becomes unable to use. 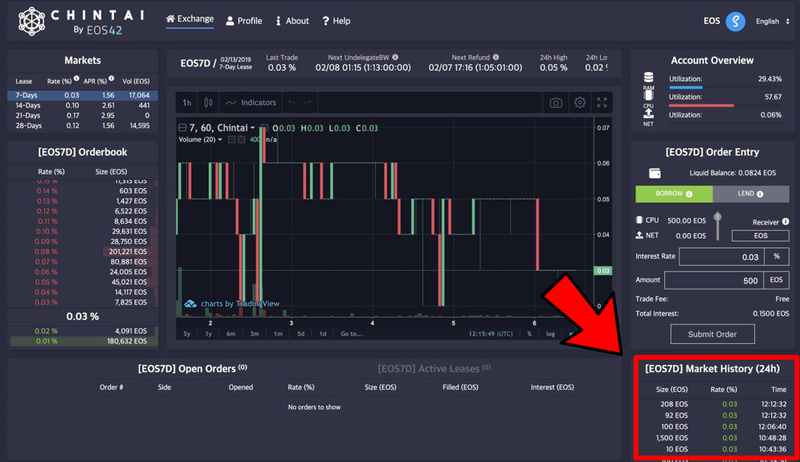 Now it is time to look around the market to find EOS loan product with better interest rate. You need to check the market interest rate to complete order entry. 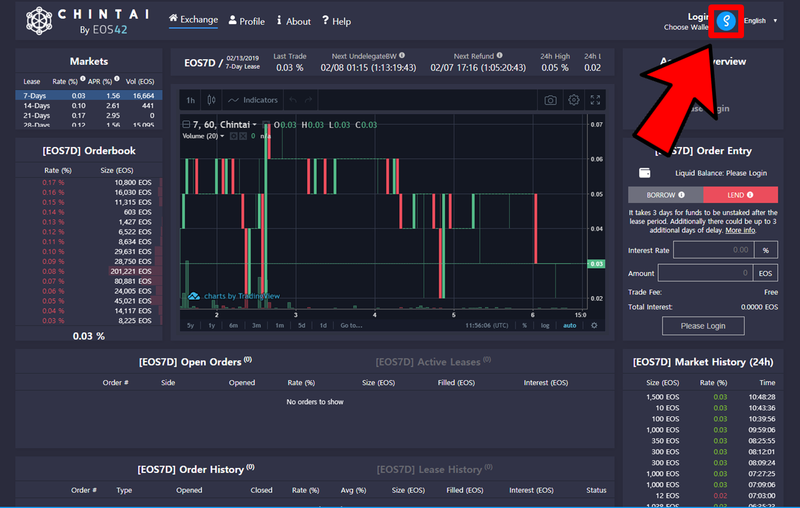 You can check current market price :) After determining market price, you need to complete the order entry. Step 4 — complete the order entry. Let’s place the order. You need to look at the red boxes in the below picture. You need to BORROW EOS to stake. 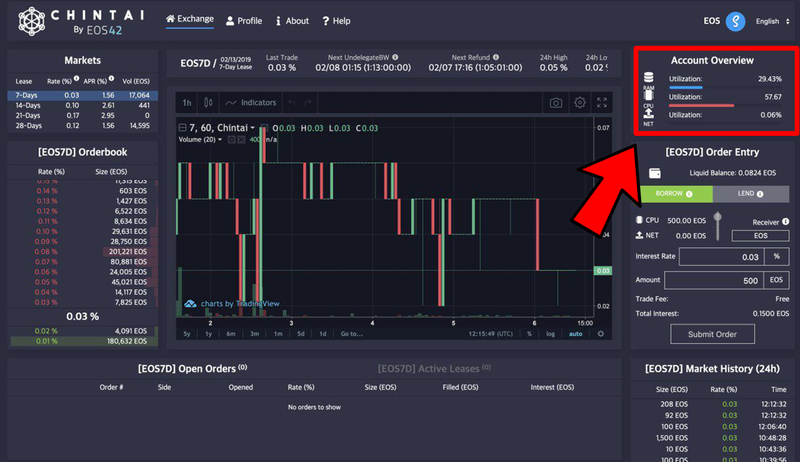 When you borrow the EOS in Chintai, it will automatically get staked to your EOS account. That shows the ratio between CPU and NET you want to borrow. Try rolling the wheel but I recommend you to borrow more CPU than NET. 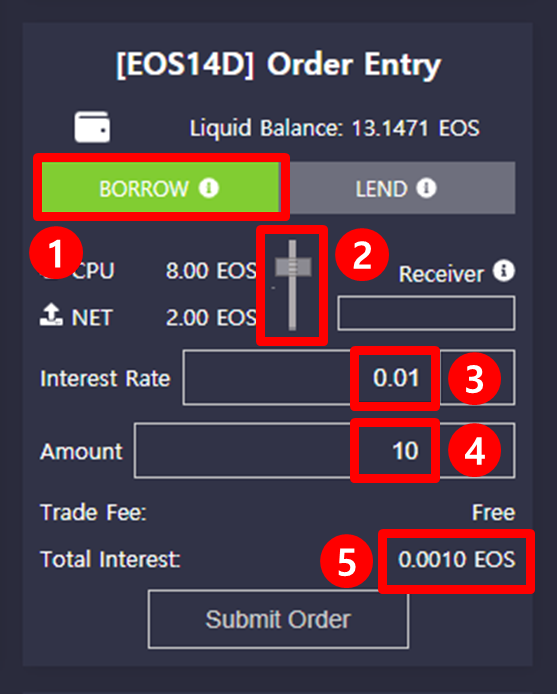 Put the interest rate you want to borrow EOS at. If you do not know the interest rate, please go back to ‘Step 3’. Write the amount of EOS you want to borrow. If you followed up all 5 steps correctly, please submit the order. Please visit our community channels to get updated with the newest news and various promotions of EOSreel! !